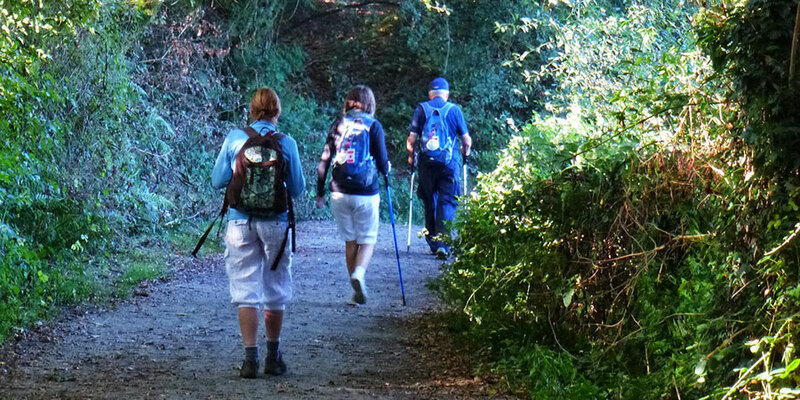 Often considered an essential accessory for long distance trekking or walking, poles can be a valuable item to add to your Camino packing checklist. If you are planning a long distance walk of any kind walking poles will help your arms to keep moving forward. They can assist you in many ways but there are a few main advantages; Leaning on the poles can help to increase the speed of your walk, reduce the impact on your legs and support your knees. In addition to the physical benefits for your body they can also assist with your grip on the terrain especially keeping your balance when you encounter slippery surfaces or muddy paths. Be careful when buying new walking poles for long distance treks that you get the right type; foldable poles are great if you are planning to travel with them. HOW TO CHOOSE THE BEST WALKING POLES? The first thing to consider when choosing the type of poles you need is the type of terrain that you are planning to walk. 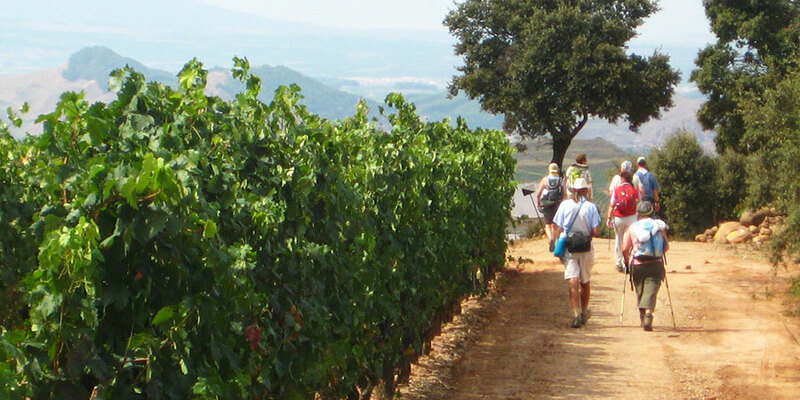 Our Camino travel team can advise you on the various terrains that you will pass over on the Camino routes. Nordic walking poles are generally used for flatter terrain and rolling hills. Trekking poles will help you to balance on more mountainous climbs and varied gradients. Not all walkers require the assistance of poles to keep them comfortable on the trail. Our best advice is to ask our travel team before you head off on your journey. They know the routes and the terrain that you expect to walk across so they will have a good idea of what extra items are required. Walking poles can be useful but also an annoyance if you don’t need them. If you start to use walking poles for your long distance walks, stick with them for a few walks before you decide that they are not for you. If you are still finding them uncomfortable after a few long treks then you may be better off without them. Remember that when you use walking poles you won’t have free hands. That may mean adding an extra few minutes to your journey to read your maps and notes, eat your snacks and stop to take a drink of water. Two of the key benefits to using poles is that they can reduce back strain and overall fatigue. We often hear that walkers find them most useful for assistance when climbing up and getting down from steep hills. Using two poles can reduce the impact on your knees and ankles. It will also allow you to have a steady grip on the surface. You can use the pole for balance, endurance and preserving energy. If you are planning to carry your walking poles on the Camino de Santiago you will need to check the luggage guidelines with your airline. Walking poles can often be considered extra sporting luggage and you may be charged for bringing them with you. 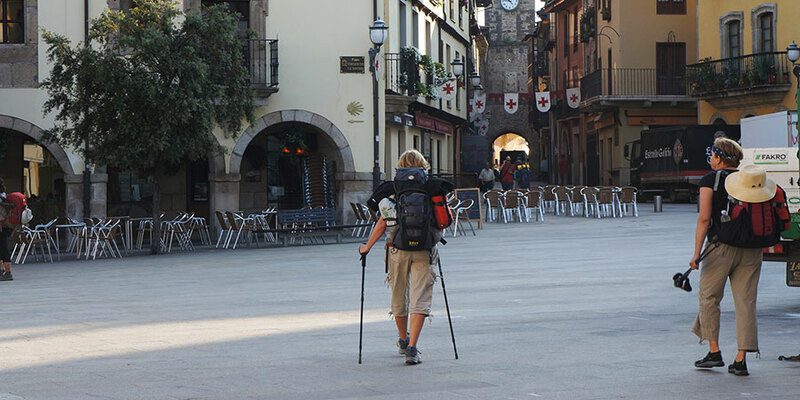 If you are buying walking poles for the Camino and you are travelling from afar it would be a good idea to buy a foldable pair that will fit in your suitcase. Not every pilgrim needs to have walking poles and may find comfort in picking up sticks for some support along the way. Your body needs time to get used of using the walking poles so practice regularly and don’t worry if you feel you are using too much energy the first few times. Get the right length for your height and test the handles to make sure they are comfortable for your grip. When travelling with walking poles ensure that they are foldable (most Leki poles can be folded down). Any outdoor gear shop will help you choose the right set of poles but a good rule to remember is the longer your walk, the lighter your poles. When walking uphill keep the poles close to your body and shorten the poles if you need a better grip. Avoid big steps, short strides work better when using walking poles. 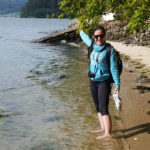 These are just a few travel tips for walkers considering whether or not to bring walking poles on their Camino trip. 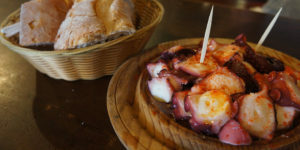 We also have a Camino Packing eBook you are free to download before your next adventure. 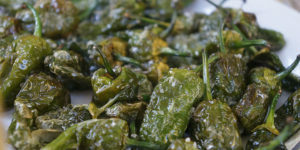 If you have any travel tips we are always happy to hear from Camino walkers. 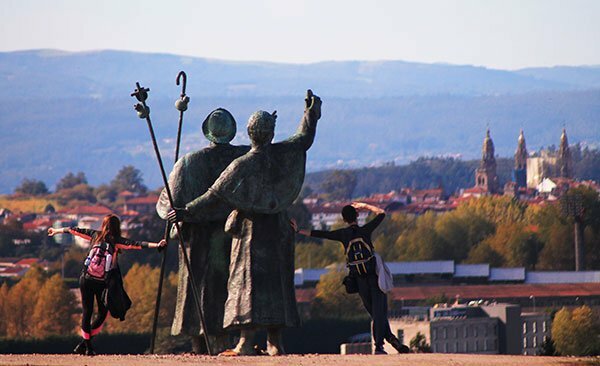 For more information on our Camino de Santiago tours or to book your trip please contact our travel team. Thank you for sharing your tips, Ralph, very useful. Kind regards. When buying poles, check with the store/supplier the guarantee terms should they snap. Both my K-Way poles snapped on a short steep downhill on Stage 27 (before entering the town of Monterotondo) of the St. Francis Way in July 2018. I returned it to the store & must now wait till the manufacturer decide whether I qualify for replacements. 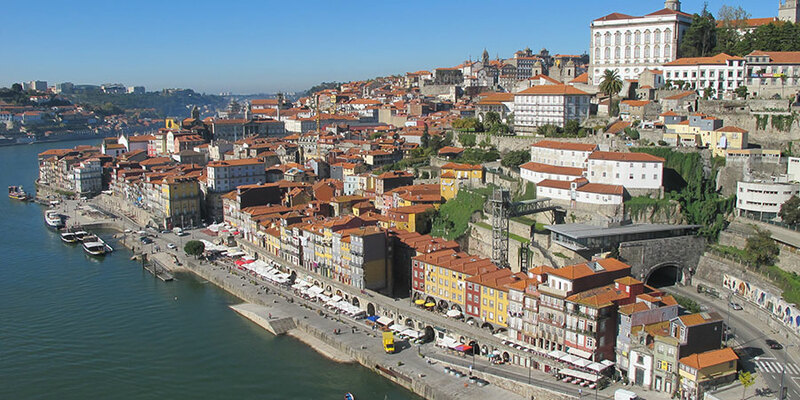 I have been a walker of flat terrain for years – did my first Camino at age 69 – am going on my second walk in a couple of weeks. I don’t use walking sticks – I use a sturdy cane and found it to be useful and very reliable. I purcahsed mine on Amazon; it is lightweight, adjustable, sleek, sturdy, and strong. I am 5’3″. Tell your Mom she is in for a great time – recommend a walking cane. I found them ESSENTIAL to my ability to hike over the Pyrenees. They saved my knees and kept me steady on downhills. Also very useful anywhere along the Camino where I encountered inclines and declines with rocky surfaces. Otherwise could fold mine away when not using them. My mother is keen to do part of the Camino next summer. She’s 65 & does lots of walking but all in flat terrain. She would like to do some training in hills from autumn-spring to get in shape & see if she’s up to it. What type and length of poles would you recommend for her? She is 1m 57cm in height. Lisa hails from the west of Ireland and has spent some time living on the slopes in Canada where she discovered her love of hiking, walking and all things outdoors. Lisa is a digital diva and active member of an International poetry network. She has walked the Portuguese Coastal Way and cycled the Via Francigena in Tuscany.